I was just a kid when I fell in love with Carl Sagan’s Cosmos (and I am very much enjoying the new Cosmos with Neil deGrasse Tyson). I practically hijacked the ‘Star-ship of the Imagination’ and tooled around, exploring uncounted galaxies, unknown realities, and “Billions and Billions of stars”. It was a tough choice between becoming a scientist and becoming a writer (ultimately I split the difference by becoming a fiction writer and futurist). Both require things that I know anyone reading this journal has a lot of: imagination and a sense of wonder. Anyway, I really like your “I Only Am Escaped Alone to Tell Thee” story. I even made my wife listen to it, and she’s no fan of cthulhu. and now we’re like “He is the Christ come to try and deliver us all, and there’s not enough blood in him to save us” which is like, the best words ever written. So yeah. 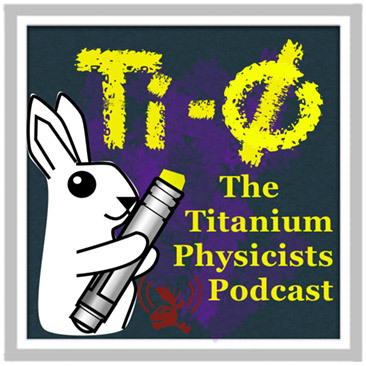 the Titanium Physicists Podcast. 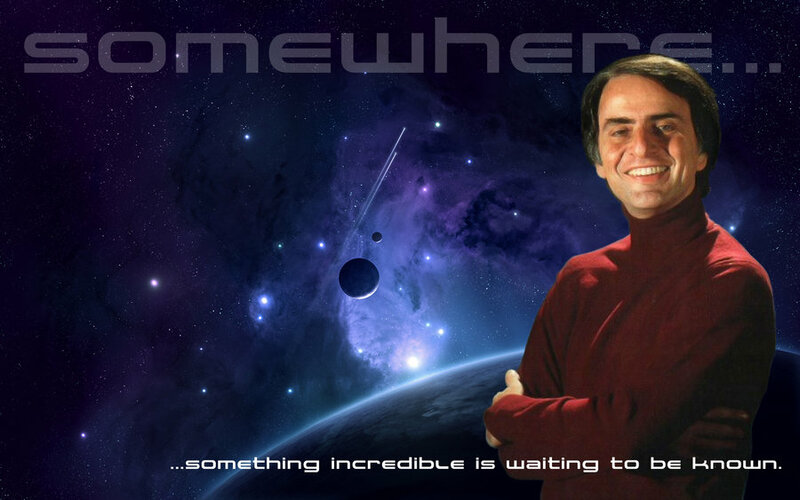 On our show, a couple physicists explain awesome physics concepts to laypeople who are awesome. As you might expect, I am always searching for awesome guests who are cool. Laypeople who are smart enough to get awesome things explained to them. We’ve had other authors before, Elizabeth Bear and Kelly Link, and others. Anyway, it’d be cool if you were interested in coming on as a guest. Our show tends to talk about things that no one ever talks about on TV or other podcasts, what with being real physicists and knowing the dark truths of the universe. Anyway, I’m a big fan of your stuff and I was wondering whether you would oblige us to teach you some awesome stuff? Which is the coolest letter that I have ever received. After I finished doing the happy dance on the couch, I responded to Ben and let him know how honored I was to be asked, and confessed my love for all things science. Then I Immediately went to check out the Titanium Physicist podcast as you should do right now. These people are amazing — brilliant physicists from all over the world taking their love for all that is strange and wonderful in the universe and sharing that knowledge in fascinating ways. I have very quickly become a fan of the show, and I think you will too.